It has been a while since I did a monthly favorites post or video, so I wanted to share some of my current favorite products I've been obsessed with over the past few months. 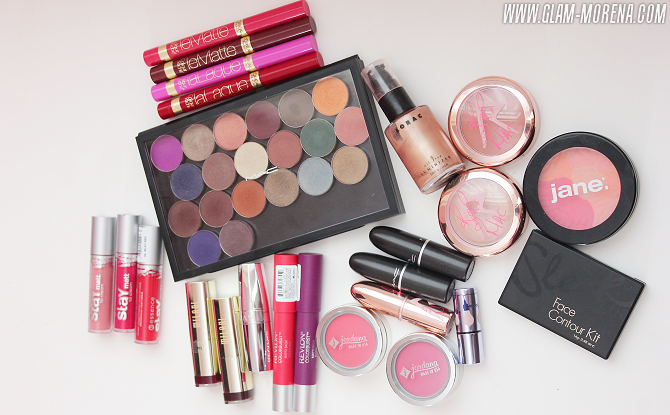 The products that I'm going to mention below are the main products I've been using lately. If you follow me on Instagram then some of these products might look familiar to you. Be sure to watch the video for an up close look of each product! 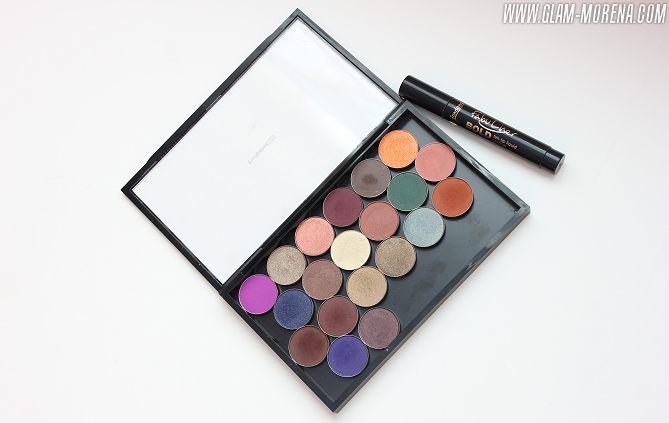 Coastal Scents Hot Pot Eyeshadows: These eyeshadows have great pigmentation and I love the variety of colors and finishes Coastal Scents offers. I've since then have created a second eyeshadow palette for my Hot Pots. Jordana Fabuliner Bold Felt-Tip Liquid Eyeliner: It's a thicker felt-tip liner than I typically use and was a bit tricky to use at first. It's become my favorite eyeliner once I got used to applying it. It's long lasting, doesn't smudge, and is perfect to create a cat eye with. Lorac Oil Free Luminizer - L2: A highlighter to use alone or with a foundation. It gives the most gorgeous glow ever! Benefit Watt's Up Highlighter: A sample that was offered as the Sephora birthday gift last year. I prefer to use this alone or layer it with a powder highlighter. Rihanna Hearts MAC Cream Colour Base - Diamonds: A sparkly, beige highlighter. Good to wear alone or pair with a pressed highlighter. Rihanna Hearts MAC Powder Blush - Bad Girl Gone Good: A coppertone blush with minimal shimmer. A great "natural" blush for my skin tone. Jane Multi-Colored Cheek Powder - Peach Bouquet: A bit pricey for a drugstore blush, but it was too adorable to pass up. The pigmentation is nice and it gives a pinky peach flush of color. Jordana Powder Blush - Apple Cheeks: A bright, pinky-red coral. The pigmentation is insane! 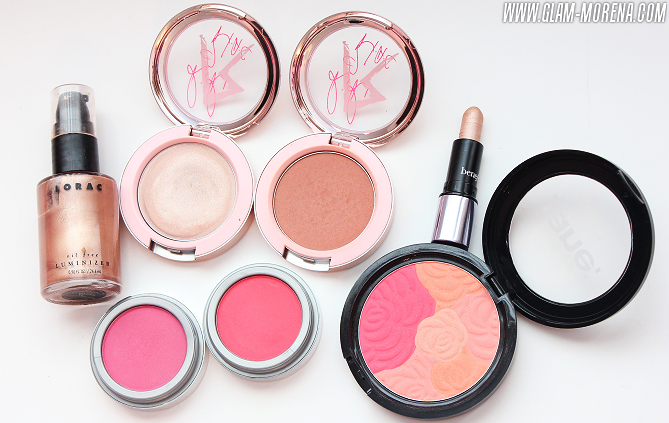 Jordana Powder Blush - Raspberry: Probably one of my favorite pink blushes ever. Great pigmenation. Milani Color Statement Lipstick - Black Cherry & Sangria: These have been my go-to lipsticks for Fall and Winter. MAC Retro Matte Lipstick - Runway Hit: A gorgeous matte peach. I like to wear this with "natural" makeup looks. 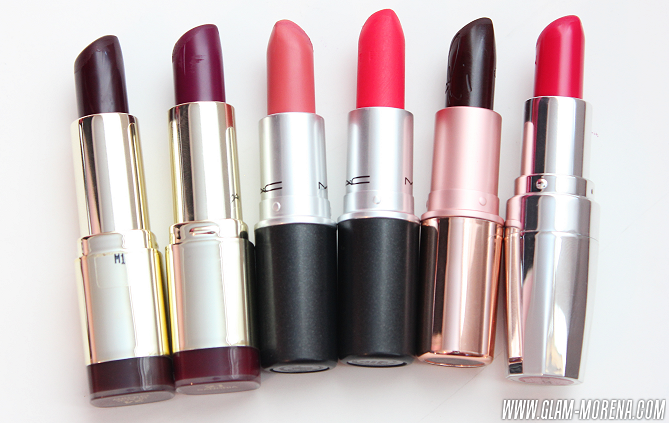 MAC Retro Matte Lipstick - Relentlessly Red: I love this lipstick for a bold lip. It's a pinky red. Rihanna Hearts MAC Lipstick - Talk That Talk: Applies a bit patchy, but I love how dark and vampy this color is. Avon Totally Kissable Lipstick - Make Out Red: Another favorite pinky red of mine. Applies very opaque and has a nice shine to it. Revlon ColorBurst Matte Balm - Striking & Shameless: Striking is a pinky coral and Shameless is a dark purple. I prefer these over the Lip Balm Stains. 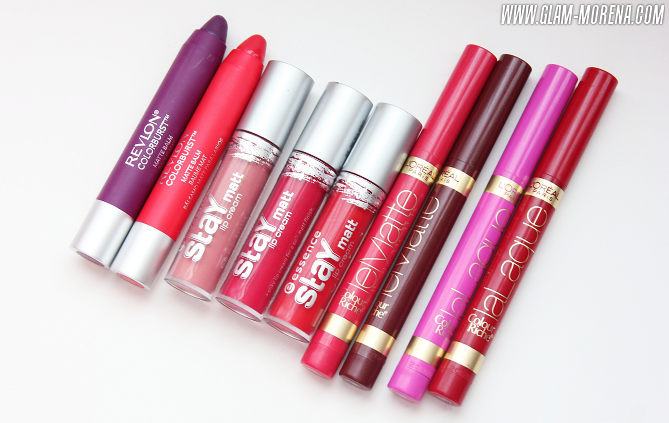 Essence Stay Matte Lip Creams: I'm loving matte lips lately and these do not disappoint! They have amazing pigmentation and apply smoothly. L'Oreal Colour Riche La Laque: Unfortunately these are limited edition. They are super creamy and apply opaque. L'Oreal Colour Riche Le Matte: These are limited edition as well. They are matte and don't feel drying at all. Hola Rai. Love your pics. Tell me, where do I find the Lorac Oil Free Luminizer - L2. I can't locate it on the Lorac, sephora, or ulta websites. I must have it to give life to my winter nc42skin.